National Popcorn Day! Popcorn, Indiana 10 Winner Giveaway! Did you know that Americans consume about 17 billion quarts of popped popcorn each year? That’s enough to fill the Empire State Building 18 times! We eat a good amount of popcorn at our house. It is our go-to late night snack. We pop it fresh in our automatic popcorn maker and pour hot butter and sprinkle sea salt on top. Hubby likes to add some white cheddar seasoning sometimes. 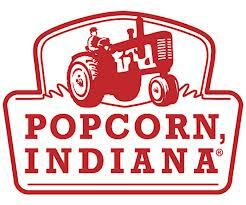 I am also a Popcorn, Indiana fan (another newer Whole Foods product!). Their variety of flavors including Cinnamon Sugar, Bacon Ranch, Superfruit Kettlecorn ~ make me go yum!! If you eat just two servings of their Sea Salt Popcorn, which has 22 grams of certified whole grains per serving you will have consumed nearly your entire daily USDA recommended allowance of 48 grams of whole grain! And their Drizzlecorn? Boast the perfect hint of sweetness and salty with many choices, including Chocolate Peanut Butter, Drizzled Cinnamon Sugar, and Dark Fudge Peppermint! How are you celebrating National Popcorn Day? 10 Winners with each WIN 10 Bags of Drizzlecorn! I will receive these products for review. All opinions are my own. Popcorn is always a favorite snack here! I eat at least 2 bags of microwavable popcorn a week, it is one of my favorite snacks. My kids have always loved popcorn. It's quick and easy, plus very filling, so we have it often when they have friends over! I really love kettlecorn. The combination of sweet and salty is just the right thing for a snack or when I watch TV. I love popcorn because it is a fast and easy healthy snack to prepare while my family has movie night! Last Fall my husband decided to pop an entire tote full of popcorn for family movie night. It was WAY too much. We had popcorn all over the house for a week. My best memories were of growing up, when we would have a huge brown paper shopping bag full of buttered popcorn. Our eyes would be as big as saucers to think of all that popcorn in our little tummies. We'd fold over the top edge, and then the hard part was passing the bag around to share while we all huddled together to watch a good movie!! Popcorn is one of my favorite snacks because it's whole grain and low-calorie (without the butter). Popcorn is a favorite snack in my house because it tastes great and is a more healthy way to snack! Popcorn is a nutritious snack and yummy too. I love popcorn; my daughter also loves it! its a great healthy snack as long as I don't put too much butter on it! I remember my mom making popcorn on the weekends and we were allowed to have a soda. A huge treat. I love popcorn. I remember as a kid being thrilled with Jiffy pop popcorn. Watching the top expand as you cooked it on the stove. Popcorn is an easy on-the-go snack. I've always loved popcorn. Lots of fond memories growing up with my Mom making popcorn or popcorn balls!!! Love it with hot butter and sea salt. The flavors all sound great! I'm used to just plain air-popped with a little seasoning. would love to try so many of these. I've loved popcorn since I was a little kid. My mom would make a big batch of popcorn on Friday nights and we would all watch tv together and enjoy the popcorn. we are popcorn eatin fools in this house...i think i can safely say, i've never met a popcorn i didn't like! I love popcorn. It's a healthy, filling and low calorie snack. I've actually been to the Popcorn Festival in Indiana. It's a lot of fun! Popcorn is a filling, healthy snack that we love! Popcorn is so ummy & versatile! Depending on what toppings you put on it, it can satisfy sweet and/or salty & crunchy!! Love it! Popcorn is one of our "comfort foods." Especially in the Winter ~ it's great to curl up with popcorn, a movie a warm blanket and a fire and enjoy being home! i loooove those popcorn tins they sell around christmas time. Popcorn is my kids' favourite snack, so it's become the family's favourite snack. I like that it's simple and relatively healthy. Memorable was definitely trying to make popcorn balls with my kids. It was funny and a huge mess! We love popcorn in our house it is definitely one of my daughters favorite snacks. Which is fine by me because it is good for you, as long as you limit the butter and salt. We especially love flavored popcorns for dessert! I love popcorn because it is so versatile. There are so many ways to eat it. thank you. Love that I can take a small bag of popcorn with me for a snack when I'm out. Popcorn has always been a favorite snack! I love all of the new varieties now, thanks for sharing, this looks yummy! Popcorn any kind, any flavor is the best snack. Having popcorn on Sunday nights as kids! I love popcorn because I can eat it without feeling guilty. It can be a healthy snack or you can have it in different flavors. Popcorn is our favorite snack in my house. I love popcorn as it is a healthy snack. I absolutely love the Kettle Corn flavor. It's delicious. We love popcorn and this month we loving popping our own on the stove! Freshly popped popcorn is so enticing! I smell it and I want it! I have always loved Popcorn, and remember making popcorn balls with my granny when I was a kid. Best times of my life. I've never had any Popcorn Indiana popcorn, but the drizzled cinnamon sugar sounds amazing!! I don't know why but I need a snack that crunches, and popcorn is the perfect crunchy snack! I love flavored popcorn also-the Greek Yogurt popcorn looks very good! While losing weight popcorn with dried cranberries was my go-to snack! I could eat a ton for very few calories! It helped me lose 60lbs! Popcorn is not only a delicious snack but it is better for you than chips. We love popcorn in this household! I love that popcorn is something the whole family enjoys! Is filing and can add sime of your favorite things to it , even drizzle chocolate over, lol!!! I just love the scent of popcorn when it's popping, and how when you go to a movie theater, how it smells. They just make me think of enjoyable movie experiences that I've had in the past. I just had a bag of this last week, it was awesome! eating popcorn at country fairs is my all time fav since i was a kid. yum! Popcorn smells and tastes so good!! We eat popcorn every Sunday night! Indiana Popcorn is BY FAR THE BEST POPCORN I HAVE EVER TASTED. My husband and I began to eat a bag the other night and before we knew it...The bad was almost finished. Terrible lol!! Amazing stuff though!!! I love that popcorn is delicious and low calorie! Popcorn is just so much fun. And Popcorn Indiana is so good. I just tried it for the first time last week and I loved it. And I'm glad that it's "Made in the USA". 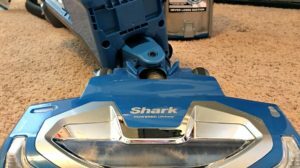 I hope this company continues to be successful. Yum! I like popcorn cuz its easy to make and good for you. I have a huge addiction to popcorn! Love, love, love it! I love that it comes in so many different flavors! I don't really have a memorable popcorn story, per se, but I do love it...mostly because it's not so bad for you as other foods(snacks) out there, as well as it's filling and easy to make. I love popcorn it taste good and it is good for you. I've always had popcorn most of my life in some fashion. Lately I have tried this popcorn and it is awesome. I love that it's the one snack that everyone loves here and they don't complain when they have to make it. Our favorite flavor is butter. I love popcorn; we have it often and i do buy this kind in the bags too. I think popcorn is just so fun & simple to eat. I love popcorn because it's delicious. Popcorn is a great snack! Especially the single serving sizes. I keep some in my desk at work. I love popcorn as a snacking eat a handful here and a handful there snack, it is light tasty and now days they have some many different flavors to pick from and I think it makes me feel like it is a healthy snack so I love it. I always associate popcorn with the movies!-Hot, buttery, yummy movie theater popcorn! I love popcorn, especially kettle corn! It's a healthier snack and good for munching. popcorn is MY fave snack because you can eat a lot and feel like you treated yourself with too much guilt, easy to eat and fun! My favorite popcorn memory is my mom making Jiffy Pop in the expanding stove-top popping pan for our family movie nights when I was a little kid. One day my mom ordered 2 supersize packs at the movie theater of popcorn and it was so much popcorn that it could of fed 3 armies. I love popcorn because it's so easy to make and eat! i like fresh hot popcorn! popcorn is my favorite snack because it is one of the most health quick snacks. My favorite snack is popcorn. I love all kinds and all flavors. I LOVE popcorn! My fave is Kettle Corn! Thank you so much for this tasty giveaway! My kids and I love popcorn! It's a great snack. I love kettle corn the best! I like popcorn - and love trying new flavors! Mmmmm! Yummy. Love choclate drizzled popcorn!! It is the food of god'S!!!! I really love the caramelized popcorn! My family loves popcorn... it's fast, easy and delicious. We love popcorn. You can do so many things with it and there are great flavors to choose from. Thanks for the giveaway! We love popcn as a great after dinner snack while watching TV or working on the computer. Even the cats enjoy it and will steal it every chance they get. I love popcorn at home now more than ever! I discovered if you use coconut oil to pop your corn, it tastes just like movie theater popcorn! Popcorn is one of my favorite snacks because it's so versatile, it can be salty, sweet, buttery, etc. and you can add other treats to your popcorn like, gummy candy, chocolate candy, etc. I love all the flavored popcorns! i once ate some gourmet white choc drizzled popcorn- i never forgot how yummy it was. Popcorn is my fav snack because it has the best salty taste ever! We were pretty poor when I was growing up (9 kids)...but popcorn was affordable and went a long way. I loved the smell of it popping on the stove! Drizzled Cinnamon Sugar sounds yummy! Growing up, we would fix popcorn the old fashioned way. We would get a large pot, turn the burner on, put a little oil in the bottom of the pot, and a few kernals of popcorn, wait for the kernels to start spinning, then add the rest of the popcorn, then shake the pot back and forth until the corn stopped popping. After adding a little salt, or sometimes melted butter, we would enjoy until it was gone. I used to like popcorn a lot more when I was younger, now I mostly like white cheddar popcorn although these sound amazing. I always liked fresh popped popcorn in butter or olive oil with candy bars for movie nights. I think there were times in college when we LIVED on air-popped popcorn, but I never got sick of it. I can't eat popcorn without a Hershey Bar or some Hershey Kisses. I love salty + sweet. Popcorn is one of the few healthy snack options that the kids actually ask for. I always remember soon family movie night with popcorn and I did te same with my girls .. Popcorn is easy to make and healthy when you make it yourself...except I ALWAYS eat my popcorn with raisinets! I used to work at the movie theater and so I love the smell of fresh popped popcorn!! popcorn is much better than greasy potato chips and omg its so good! I love popcorn because its easy to make and there are so many different flavors that can be added! Sweet, spicy, salty, whatever! Popcorn has always been the go to snack. I am one of 7 children and we had the air pop popcorn poppper and made such big batches! No special memory just really really love chocolate drizzled popcorn! I remember back in the day popping jiffy pop corn ....now my favorite is the black and white kettlecorn...yum ! Popcorn has always been my favorite snack.When I was growing up my Mom and Dad would pop the popcorn on the stove top,and we would have a big dishpan full of popcorn to share. I feel like it's not as fattening as other snacks and I don't eat so much of it either. I love popcorn and dark chocolate. The combination of salty with a little sweet. It is also healthier than other chips and candy. I don't really have any popcorn memories, I just remember always loving popcorn!! I love popcorn, we snack on kettle corn a lot! Popcorn with candy on top!? yes, please. We do like a nice bowl of popcorn for movie night, and I have never tried this brand! I love popcorn and probably because when I was little my dad and I would eat popcorn and watch movies. He's really the one who got me hooked on it! I especially love kettle corn because it reminds me of state fairs. My most memorable popcorn experience is the small family owned theatre from wheee I grew up. Small theater, usually showed second run movies but they had THE best popcorn ever. They used an old fashioned real machine and the most heavenly butter on top......so good, makes me hungry thinking about it, schools used to take the kids there for field trips. Oh, I wish the city I lived in now had a theater like that.....I credit that place to my love of popcorn..... And I love sweets too so these sound wonderful, particularly the cinnamon sugar! My hubby loves popcorn just as much as I do, this would be so great to win! Thanks for the chance to win! We love popcorn. Tried this popcorn recently and its the best snack Ive tried in a long time! I love popcorn because it is fairly low calorie if your careful about toppings, so, you can have a lot of it without guilt. Popcorn has always been a staple growing up. I remember my granny using a air popper to make it! I usually do stove top popcorn just so it's a little healthier! We love popcorn in our house, especially on movie night! We love popcorn because it is easy to fix and we have it on our family movie nights. I love Popcorn Indiana especially their drizzle pop. I have never seen or tried their Greek Yogurt and that one sounds pretty good! We are basically popcorn addicts. I especially love kettle corn and my kids adore movie theater-style butter popcorn. Popcorn makes hanging out at home more fun! We love popcorn because it is easy to make and delicious! Oh, I LOVE LOVE LOVE popcorn! And some of these flavors sounds sooooooo delicious!!! I Love popcorn. Never had this would love to try! Popcorn is my favorite snack because its so satisfying and it tastes great!! I love popcorn because it makes a great snack, especially when you're watching a movie. I love popcorn as a snack as it fills me up without filling me out! I remember tossing popcorn into each others mouths as a kid with my cousins. I love popcorn! I eat it for my dinner ffrequently. I always have to have popcorn when my granddaughter comes over as she loves it too. I love the Drizzled Black and White popcorn! Once you start eating it you can't stop!! I make chocolate covered popcorn a few times a month. Ever since I was a little kid (29 now) my aunt would give my dad a huge bag of chocolate covered popcorn. It was the only form of sweets he would eat. I remember we would stay up late watching movies and eating it. My dad passed away from throat cancer at the age of 50. Now I make the chocolate covered popcorn and let my kids stay up late, watching movies with me and eating our popcorn. I love love love popcorn. It was one of my big cravings when I was preggers. I like popcorn because it tastes great. I have always liked popcorn, especially white cheddar cheese! I love popcorn because it is so easy to make and full of fiber. Popcorn is the perfect, delicious easy snack! In Hawaii, we have this thing called Hurricane popcorn and that's my absolute favorite. It's popcorn mixed with butter, furikake (bits of seaweed and other stuff) and mochi crunch (arare crackers). Yum! Its usually lower in calories. I love popcorn though it frustrates me when it starts getting in between my teeth. Still it's pretty hard to resist white cheddar popcorn. Thanks for the giveaway. I don't know why I love popcorn, however, I eat some everyday! We love popcorn cause it's airy and crunchy. Yum! Popcorn is pretty healthy so it's on my list of good snacks. Popcorn is nostalgic! We used to often have popcorn with butter on top at home when I was little. Now, the kids love when we get out popcorn. It's easy and yummy! Popcorn is my go to snack. I love popcorn as a snack because it is delicious! We love snacking on popcorn. It's an easy, tasty snack. Popcorn is a favorite snack because it's delicious! I eat popcorn almost every night!